Privacy is one of the most important things in our lives and we should protect it by all means. When it comes to Android smartphones, the best way to protect them is by installing Lock Applications. Below, we’ll give you a list of applications that will allow you to securely lock any application that doesn’t come with a built-in password (such as WhatsApp). So, here are the Top Lock Applications that you can use on your Android device. AppLock is one of the most used locking applications that exist on the Google Play Store, having over 100 million users and supporting over 20 languages. You will be able to lock applications, folders, galleries, sms, call logs etc. using a pattern or a pin. Using AppLock, you will be able to prevent others from accessing the phone’s settings, it stops them from installing or uninstalling applications, receiving incoming calls and more. Using the Perfect App Protector, you will be able to lock any application with a pattern, gesture or PIN. You will be able to lock applications such as: WhatsApp, Facebook, SMS, Email, Gallery, Camera, USB connection, Skype, the settings of the device etc. 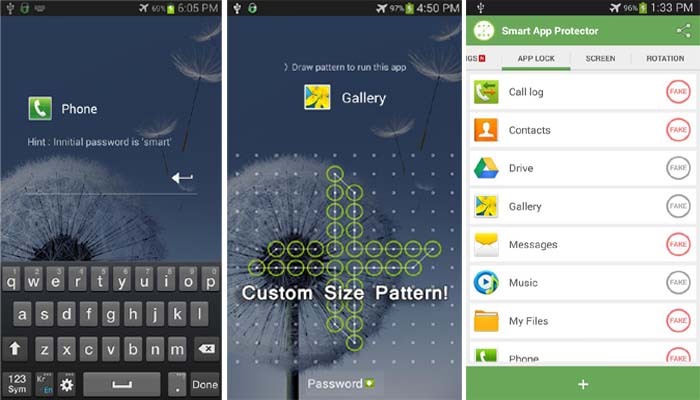 Using the Smart App Protector application, you will be able to lock applications and documents on your smartphone. You will be able to set different locking methods such as: pass code, pattern lock, gestures or pin. Using Smart App Protector, you will be able to remotely control your device and customize your theme. The application will also monitor each failed try to unlock an application and it will use the selfie camera to take photos of the one who tried to get into that application. 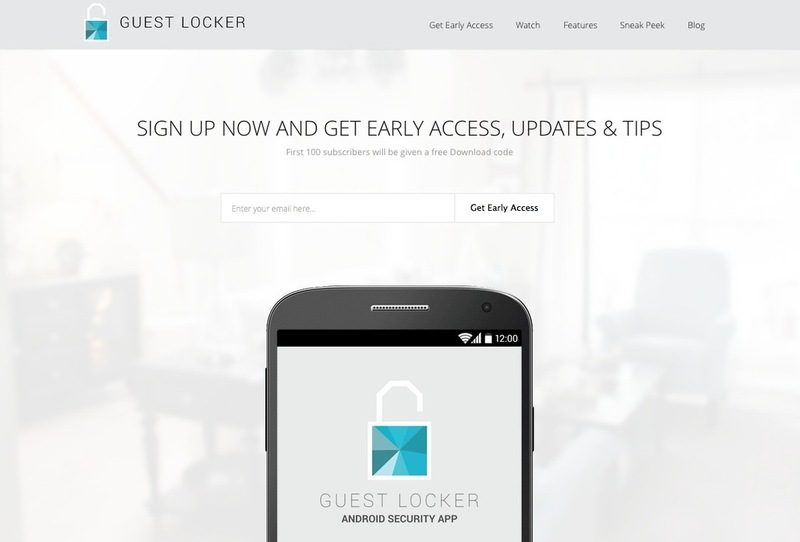 The Guest Locker is a launcher application that will keep your personal information safely locked away. In case you usually share your device to friends and colleagues, then you will surely love the Guest Locker application. This when, whenever you want to share your device with your friends you will not have to worry about them watching over your personal stuff such as, SMS messages, WhatsApp messages and more. 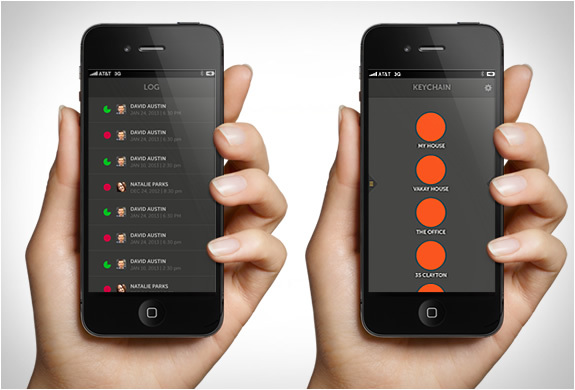 The Smart Lock application allows you to lock media files, documents and applications. Using this application, you will also be able to lock the USB storage, auto-screen rotate and more. 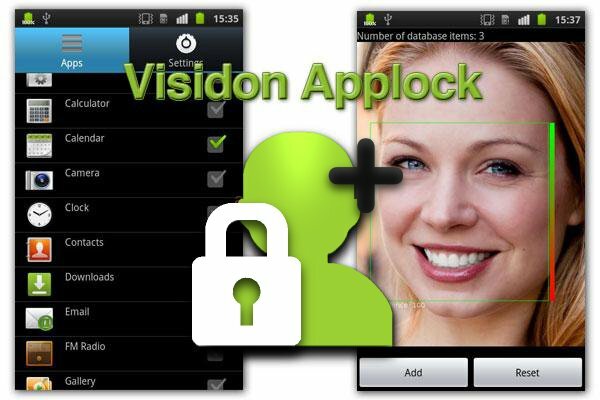 The Visidon AppLock will lock any application that you want and it will use the face recognition to unlock it. You will need to select the application that you want to protect. After that, when you want to access one of the applications you’ve locked, you will need to unlock it by using the face recognition feature that the Visidon AppLock comes with.